A few years ago, custom built homes were relatively uncommon in many marketplaces. This is no longer true -- custom built homes are in now great demand. So just what is a "custom built home"? What are the advantages of having a home built for you, rather than locate an existing home which meets your needs? Read the article below or click on the links for some related topics. What is a custom built home? 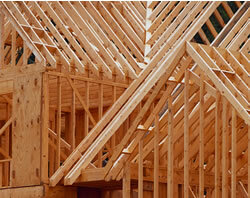 A custom built home is a residence built specifically for its original owner according to his or her preferences. This is a much different method of building homes, as normally homes are built from off-the-shelf plans or as part of a tract of similar residences. What are the advantages of having a home built just for you? Your home reflects your lifestyle, value and personal sense of style. Kachay Homes ensures the home built for you and your family gives you gracious living in exquisite surroundings. With expert craftsmanship and attention to detail, Kachay Homes can build a distinctive home for even the most discerning tastes. Reward yourself with the best, the quality of a Kachay Home are a fast growing segment of housing markets and are drawing media attention and the rising value of existing homes. People expect more from building their own custom home rather than buying straight off the market — and rightly so. He says communication and pre-construction planning is vital, as well as getting everything down in writing — even down to the choice of faucet — before starting construction. How Can You Have Your Next Home Custom Built? With today's low low interest rates, now's the time to take the opportunity to build your dream home. Benefit from wholesale prices, personalized features and financing that gives it all to you for very little down. Building a home was once a luxury reserved for the very well to do with lots of cash. Today there are new rules and new opportunities. Having your own custom-designed home built is not an insurmountable task, and the rewards of having a house constructed to meet your family's exact needs are numerous.